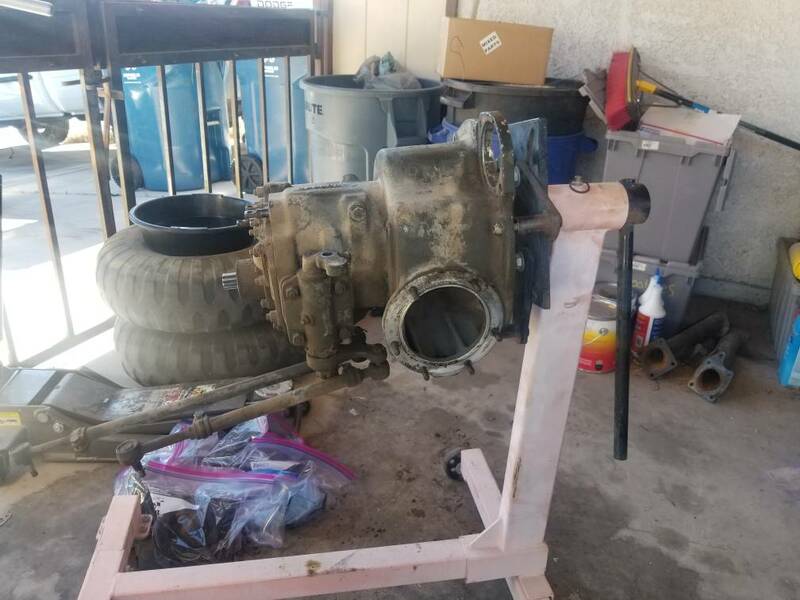 The top engine shroud is the thing most frequently disposed of when the military is stripping mules and any shroud will fit any AO42 engine. 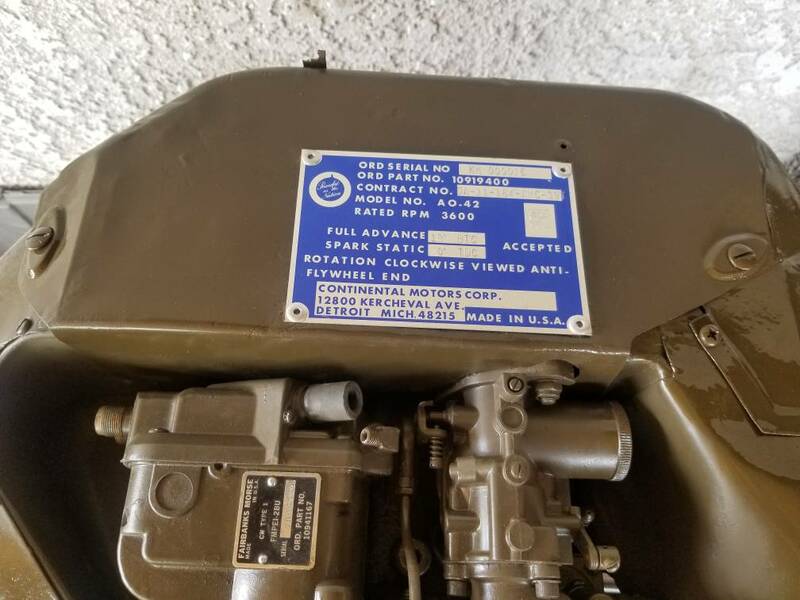 "For model AO42-KM Engines with serial numbers lower than KM003275, turn magneto gear counterclockwise and position magneto gear timing mark two teeth from camshaft gear timing mark." 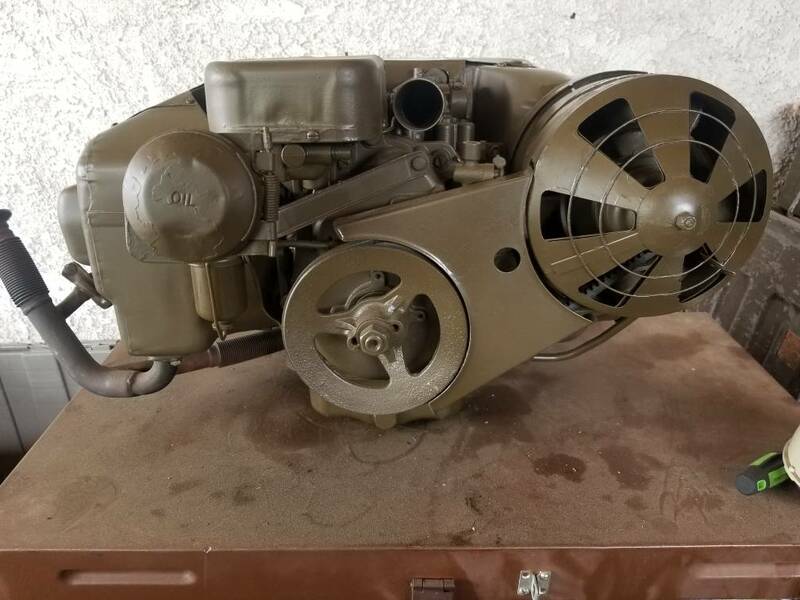 Most early KM engines had a hard mounted outlet vent valve to carb intake tube, mechanical hour meter and a fuel primer. Yours has the rubber adapter that connects to the outlet vent valve, no mechanical hour meter or fuel primer. I would set the mag and cam timing marks inline and start there. With the engine running the mag timing should be set to 18 degrees advanced. Just going off the cover and the engine data plate when I got the mule. And my mule serial number is BMY 00025. So that's the way it will stay. Because I got no other numbers to go off off. 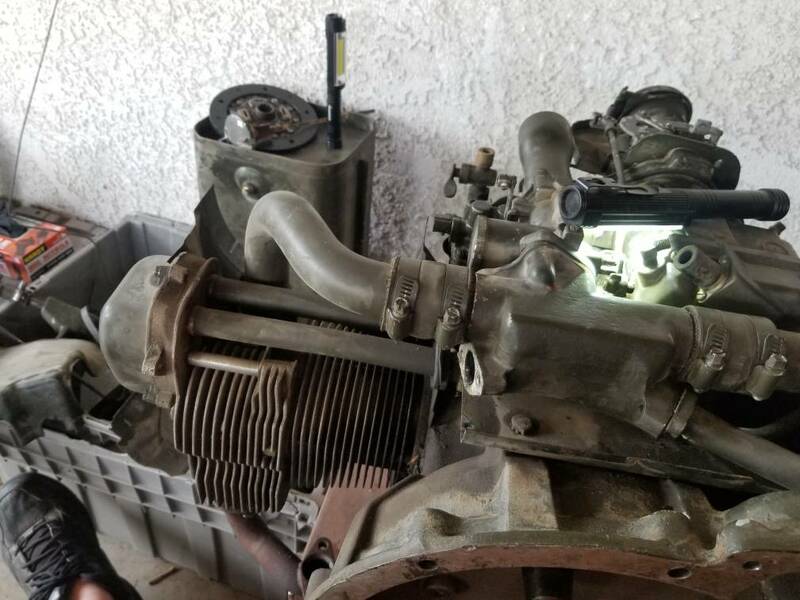 Do you have the parts or know of anyone that has them to make it look like an early kmengine? Last edited by Mulemac02 on Fri Apr 12, 2019 6:42 pm, edited 1 time in total. But I'm going to find the timer and the proper stuff to make it look good. Theres a plug where the hour meter screws into. Everything was going great till I seen the long axle shaft where the oil seal rides on the shaft... it was rust pits. I don't know if that makes a difference on sealing abilities. This is what I sent in an e-mail to you and post here for others interested. I welcome other opinions as we all learn from this board. 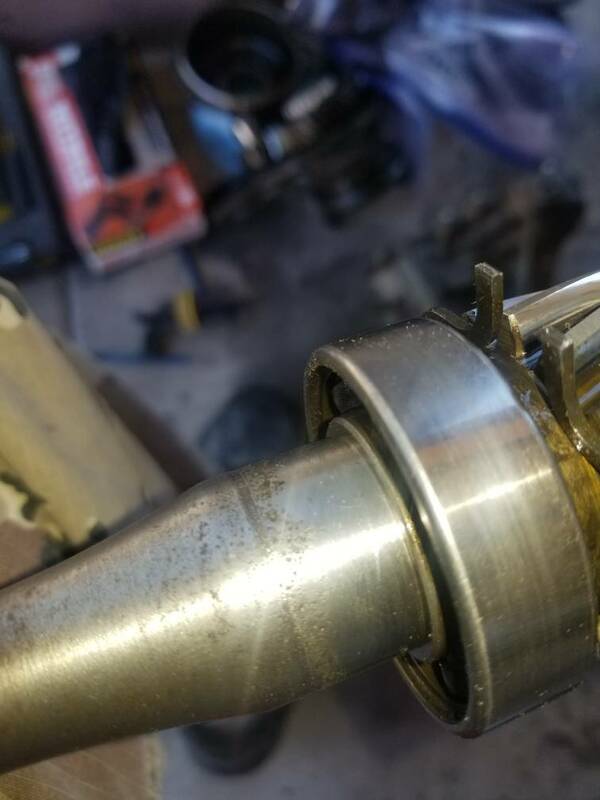 That is the area where the DG housing seal keeps gear lube inside the housing. The Black 1/8" line appears to be where the seal locates on the axle. There is not large amounts of gear lube that is forced against the seal. It only gets a little lube that splashes off the gear onto and through the bearing and then onto the seal lip. I have seen a lot worse. 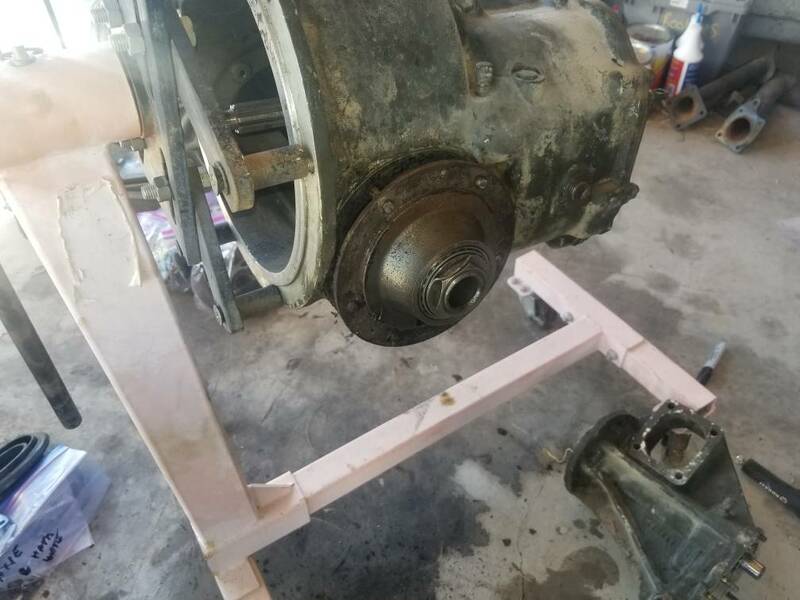 I would sand the surface of the axle and install a new seal. They are neoprene and do a great job of keeping the lube in the DG housing. I would pack the 205 bearing full of grease as it is only lubed as the gear splashes it. That will help keep lube from the seal lip. 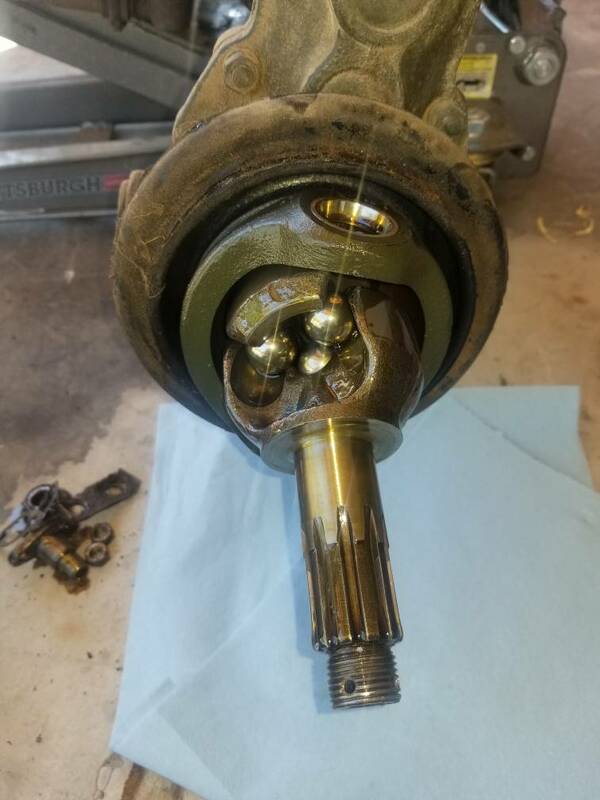 The long axle shaft on the transmission goes through the clutch and input shaft area and that is the only place you do not want gear lube. Other than the brake shoes and on the ground. 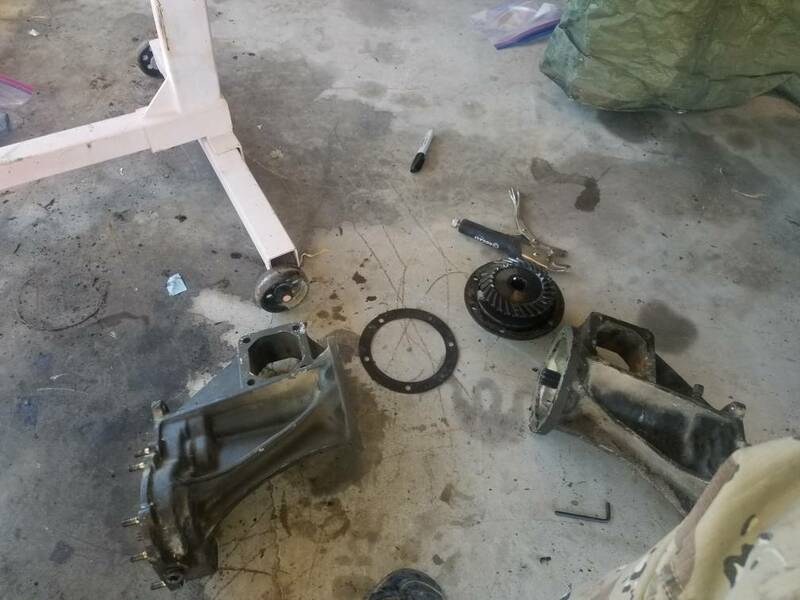 The short axle shaft on the transmission goes directly into the ring gear that is bathed in lube. 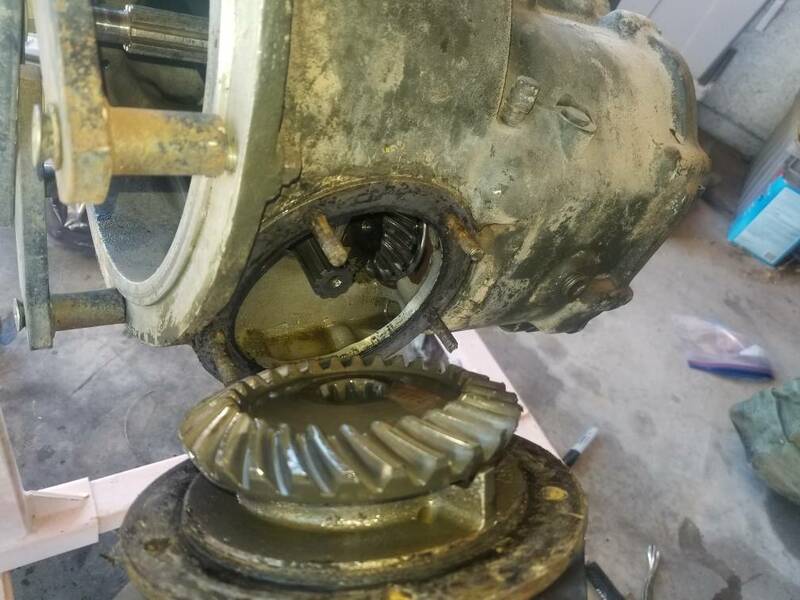 The front end does not matter if either axle leaks because it goes directly to the ring and pinion gear that is bathed in lube. Keep check on the lube level in the DG housings, trans and front end. 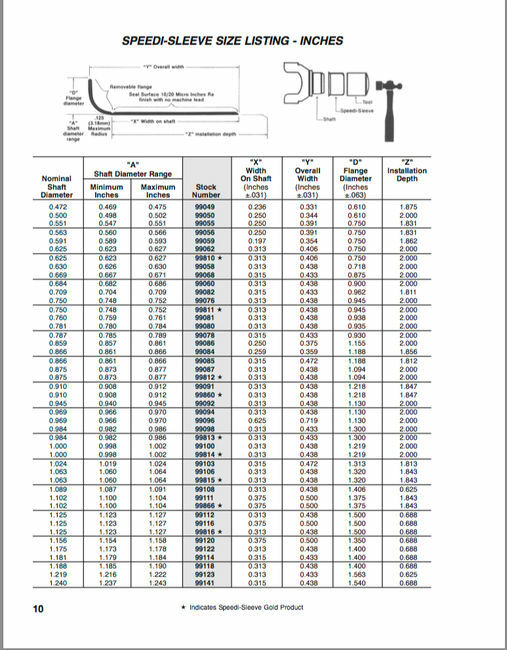 Short axle shafts are plentiful and reasonably priced. The long axle shafts are expensive. 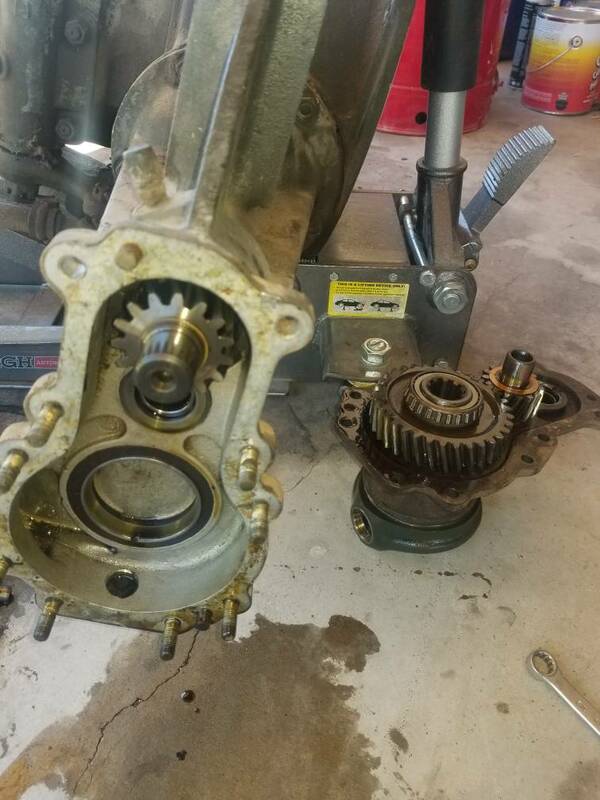 If you decide to replace the axle shaft the gear is heated to install as it is a shrink fit as it endures a lot of torque. I have seen the gear split at the keyway. 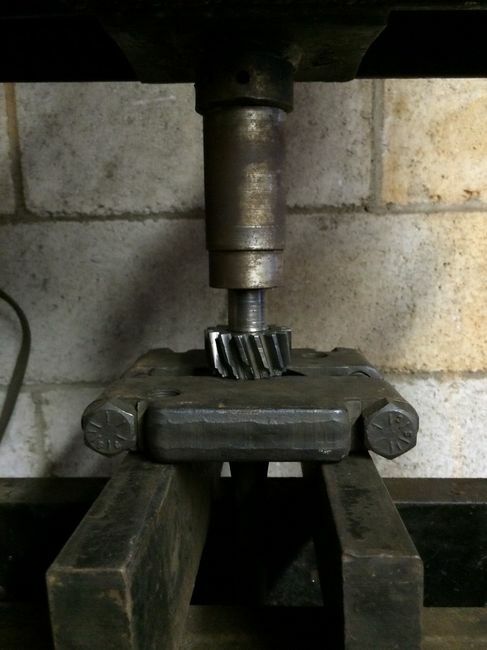 It is possible to press the gear on but must be aligned precisely to mate with the woodruff key. I would also install a new 205 bearing as they are reasonable in price. 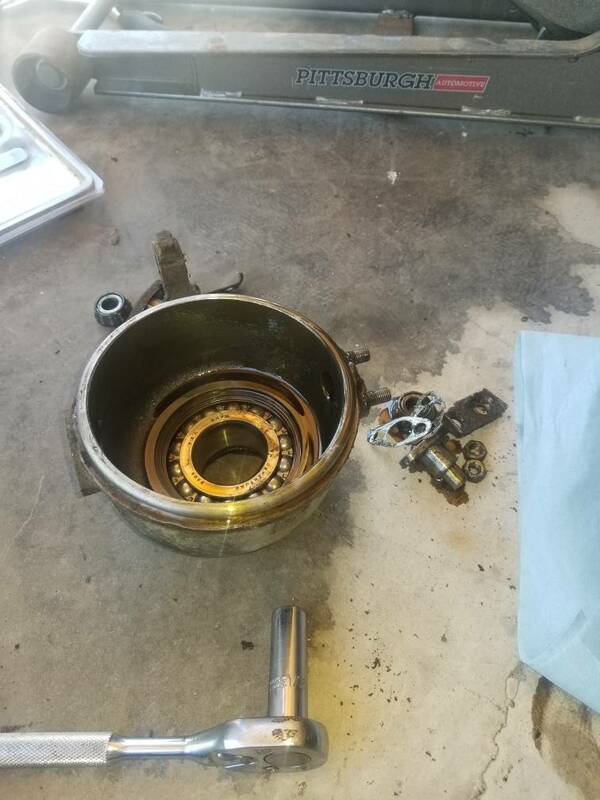 Most bearings have shields and I remove them and fill the bearing with grease. also pack grease so it will push against the seal. 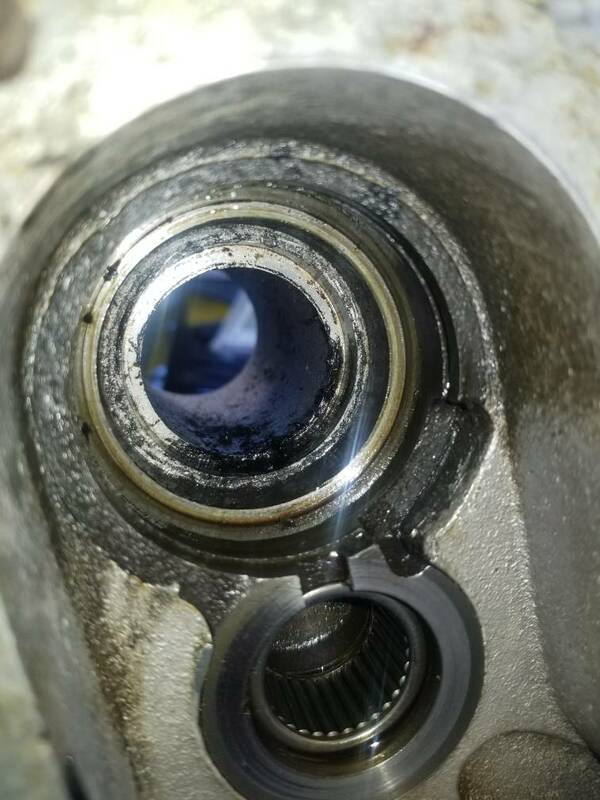 Yes over time the grease may wash out of the bearing as long trips may cause the lube to warm and help soften and dilute. Short trips should not effect grease washout. You could use a Redi or Speedi Sleeve. Last edited by muleman7 on Fri Apr 19, 2019 11:10 am, edited 3 times in total. Thanks muleman7 gives me ideas. Yes I did see your email. I just wanted to share pictures and progress with everyone. Your advice is great. 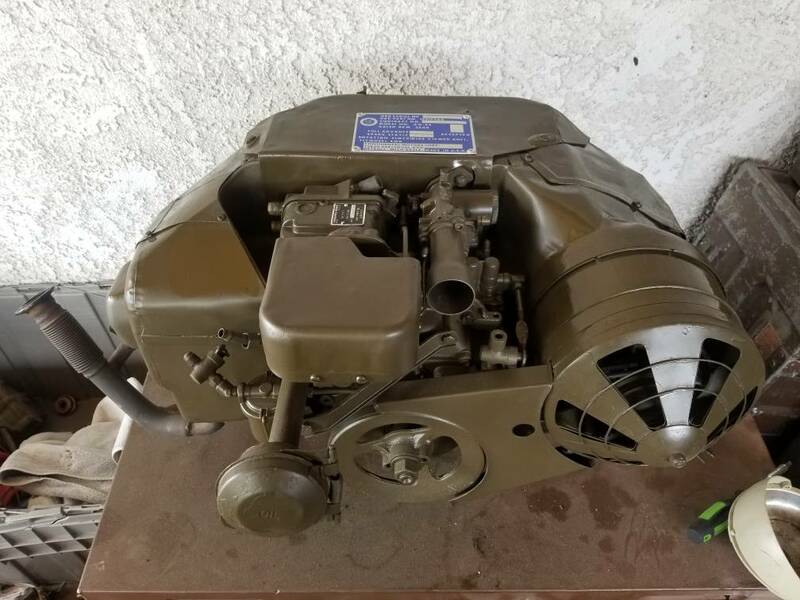 Many thanks Mulemac02 for your photos - they are helpful in my quest to rebuild my engine KM-004329 after a tear-down to clean out years of guck in the fins & shrouds. 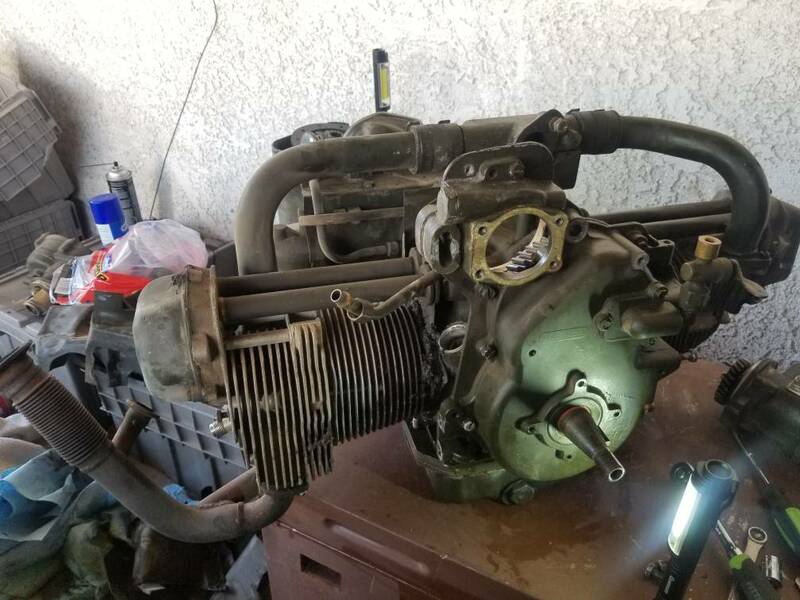 Could you help me with one rebuilding question? Do the slots in the magneto access shroud assembly 10919471 slide onto the 2 slotted rubber grommets MS35490-20 on the push rod housings? I should taken more photos before dismantling. Or, does the magneto shroud assembly sit adjacent to the rubber grommet rather than on top of it?